Service availability is a key component of the user experience. Customers expect services to be constantly available and fast-responding, and any downtime can result in disappointed users, abandoned shopping carts, and lost customers. 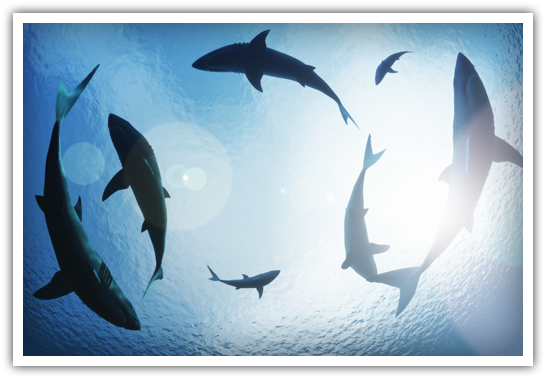 Consequently, DDoS attacks are increasing in complexity, size and duration. Radware’s 2018 Global Application and Network Security Report found that over the course of a year, sophisticated DDoS attacks, such as burst attacks, increased by 15%, HTTPS floods grew by 20%, and over 64% of customers were hit by application-layer (L7) DDoS attacks. As DDoS attacks become more complex, organizations require more elaborate protections to mitigate such attacks. However, in order to guarantee complete protection, many types of attacks – particularly the more sophisticated ones – require visibility into both inbound and outbound channels. Out of State Protocol Attacks: Some DDoS attacks exploit weaknesses in protocol communication processes, such as TCP’s three-way handshake sequence, to create ‘out-of-state’ connection requests, thereby drawing-out connection requests in order to exhaust server resources. While some attacks of this type, such as a SYN flood, can be stopped by examining the inbound channel only, others require visibility into the outbound channel, as well. An example of this is an ACK flood, whereby attackers continuously send forged TCP ACK packets towards the victim host. The target host then tries to associate the ACK reply to an existing TCP connection, and if none such exists, it will drop the packet. However, this process consumes server resources, and large numbers of such requests can deplete system resources. In order to correctly identify and mitigate such attacks, defenses need visibility to both inbound SYN and outbound SYN/ACK replies, so that they can verify whether the ACK packet is associated with any legitimate connection request. Reflection/Amplification Attacks: Such attacks exploit asymmetric responses between the connection requests and replies of certain protocols or applications. Again, some types of such attacks require visibility into both the inbound and outbound traffic channels. An example of such attack is a large-file outbound pipe saturation attack. In such attacks, the attackers identify a very large file on the target network, and send a connection request to fetch it. The connection request itself can be only a few bytes in size, but the ensuing reply could be extremely large. Large amounts of such requests can clog-up the outbound pipe. Another example are memcached amplification attacks. Although such attacks are most frequently used to overwhelm a third-party target via reflection, they can also be used to saturate the outbound channel of the targeted network. Scanning Attacks: Large-scale network scanning attempts are not just a security risk, but also frequently bear the hallmark of a DDoS attack, flooding the network with malicious traffic. Such scan attempts are based on sending large numbers of connection requests to host ports, and seeing which ports answer back (thereby indicating that they are open). However, this also leads to high volumes of error responses by closed ports. Mitigation of such attacks requires visibility into return traffic in order to identify the error response rate relative to actual traffic, in order for defenses to conclude that an attack is taking place. Server Cracking: Similar to scanning attacks, server cracking attacks involve sending large amounts of requests in order to brute-force system passwords. Similarly, this leads to a high error reply rate, which requires visibility into both the inbound and outbound channels in order to identify the attack. Stateful Application-Layer DDoS Attacks: Certain types of application-layer (L7) DDoS attacks exploit known protocol weaknesses or order to create large amounts of spoofed requests which exhaust server resources. Mitigating such attacks requires state-aware bi-directional visibility in order to identify attack patterns, so that the relevant attack signature can be applied to block it. Examples of such attacks are low-and-slow and application-layer (L7) SYN floods, which draw-out HTTP and TCP connections in order to continuously consume server resources. As online service availability becomes ever-more important, hackers are coming up with more sophisticated attacks than ever in order to overwhelm defenses. Many such attack vectors – frequently the more sophisticated and potent ones – either target or take advantages of the outbound communication channel. Therefore, in order for organizations to fully protect themselves, they must deploy protections that allow bi-directional inspection of traffic in order to identify and neutralize such threats. Cybersecurity and diversity are high-value topics that are most often discussed in isolation. Both topics resonate with individuals and organizations alike. However, the intersections between cybersecurity and diversity are often overlooked. As nations and organizations seek to protect their critical infrastructures, it’s important to cultivate relationships between the two areas. Diversity is no longer only a social awareness and morality initiative; it is a core element of defending critical infrastructures. Technology careers typically pay more than other careers, providing a pathway to a quality lifestyle. With multiple entry points into the technology field — including degrees, apprenticeships and industry certifications — there are ways that varying communities can take part in technology careers, especially in cybersecurity. For instance, communities can improve cybersecurity education for women, minorities and home users. Limited awareness and exposure to cybersecurity education often creates an opportunity gap for minorities and women. Failing to incorporate underserved populations limits the talent and size of our cybersecurity workforce. Without an all-inclusive cyber workforce, our critical infrastructure will have a talent gap, introducing additional system vulnerabilities. To rectify this problem, communities must implement permanent efforts to ensure that children attending schools in underserved districts have access to technology and courses. That will better prepare them to become cyber workers. This infusion of technology talent helps to protect our nation’s vital digital assets. Organizations must make their recruitment and retention practices more inclusive. Ideally, they should provide opportunities to individuals who are either trained or are willing to undergo training to have a pathway to a successful career. Additionally, higher education institutions should find ways to ensure that minorities and women have the support they need as they progress through their technology degrees. In addition, universities and colleges can offer cybersecurity faculty and mentors who can help these groups prepare for meaningful careers. Another intersection of cybersecurity and diversity is at the user level. Most cybersecurity discussions center on the protection of government or corporate systems. Organizations spend significant portions of their budgets to prepare for and protect against cyberattacks. Unfortunately, home users are often left out of such conversations; they are not considered part of any holistic cyber defense plan. With the large number of home users with multiple devices, the vulnerabilities of home systems provide hackers with easy attack opportunities. Consequently, attackers access and compromise home devices, which allows them to attack other systems. In addition, these hackers can mask their true location and increase their computing power. They can then carry out their attacks more efficiently. Compromising an individual’s personal device presents additional opportunities for attackers to access that person’s credentials as well as other sensitive workplace data. However, strong organization policies should dictate what information can be accessed remotely. To increase home users’ threat awareness level, organizations should develop training programs as a part of community involvement initiatives. Vendors should strengthen default security settings for home users and ensure that home security protections are affordable and not difficult to configure. Diversity and cybersecurity also intersect at the organizational culture level. 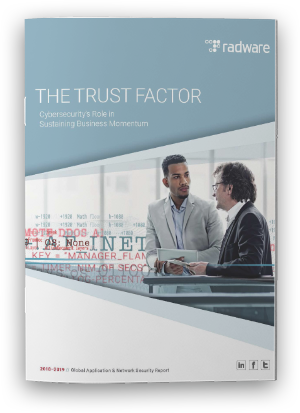 Regardless of whether or not organizations have an information systems security department, companies must foster the right type of security-minded workplace culture. All employees should be aware that they are intricate components in protecting the organization’s critical digital assets. Educational institutions can support this effort by incorporating cyber awareness training across disciplines. This will give all graduates — regardless of their degrees — some exposure to cyber risks and their role in protecting digital assets. Cybersecurity and diversity will continue to be important topics. The focus, however, should be on discussing the importance of their mutual support, rather than functioning in two separate silos. Improving our cyber defenses requires the best of all segments of our society, which includes minorities, women and home users. Smartphones today have more computing power than the computers that guided the Apollo 11 moon landing. From its original positioning of luxury, mobile devices have become a necessity in numerous societies across the globe. With recent innovations in mobile payment such as Apple Pay, Android Pay, and investments in cryptocurrency, cyberattacks have become especially more frequent with the intent of financial gain. In the past year alone, hackers have been able to mobilize and weaponize unsuspected devices to launch severe network attacks. Working with a North American service provider, Radware investigations found that about 30% of wireless network traffic originated from mobile devices launching DDoS attacks. Each generation of network technology comes with its own set of security challenges. Starting in the 1990s, the evolution of 2G networks enabled service providers the opportunity to dip their toes in the water that is security issues, where their sole security challenge was the protection of voice calls. This was resolved through call encryption and the development of SIM cards. Next came the generation of 3G technology where the universal objective (at the time) for a more concrete and secure network was accomplished. 3G networks became renowned for the ability to provide faster speeds and access to the internet. In addition, the new technology provided better security with encryption for voice calls and data traffic, minimizing the impact and damage levels of data payload theft and rogue networks. Fast forward to today. The era of 4G technology has evolved the mobile ecosystem to what is now a mobile universe that fits into our pockets. Delivering significantly faster speeds, 4G networks also exposed the opportunities for attackers to exploit susceptible devices for similarly quick and massive DDoS attacks. 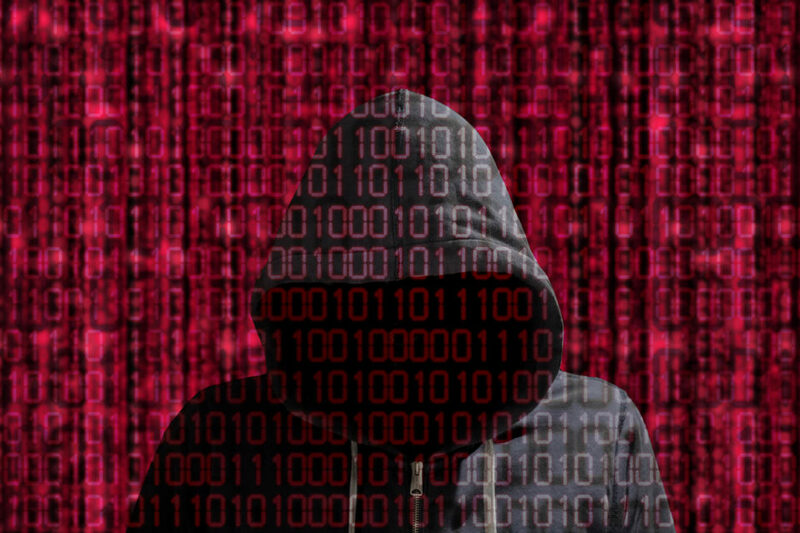 More direct cyberattacks via the access of users’ sensitive data also emerged – and are still being tackled – such as identity theft, ransomware, and cryptocurrency-related criminal activity. 2020 is the start of a massive rollout of 5G networks, making security concerns more challenging. The expansion of 5G technology comes with promises of outstanding speeds, paralleling with landline connection speeds. The foundation of the up-and-coming network is traffic distribution via cloud servers. While greatly benefitting 5G users, this will also allow attackers to equally reap the benefits. Without the proper security elements in place, attackers can wreak havoc with their now broadened horizons of potential chaos. In the 5G universe, hackers can simply attach themselves to a 5G connection remotely and collaborate with other servers to launch attacks of a whole new level. Service providers will have to be more preemptive with their defenses in this new age of technology. Because of the instantaneous speeds and low lag time, they’re in the optimal position to defend against cyberattacks before attackers can reach the depths of the cloud server. 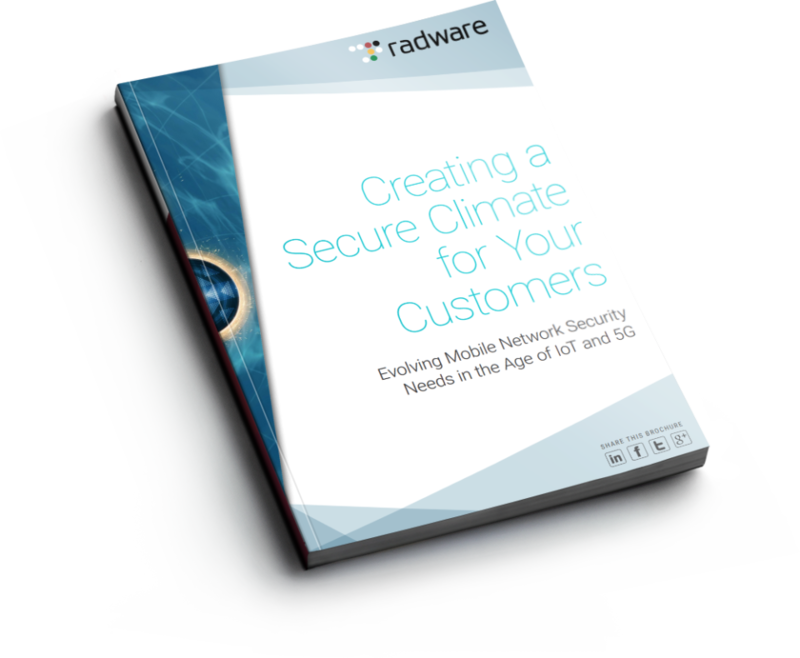 Discover more about what the 5G generation will bring, both benefits and challenges, in Radware’s e-book “Creating a Secure Climate for your Customers” today. From BrickerBot to Phlashing, Predictions for Next-Level IoT Attacks. When BrickerBot was discovered, it was the first time we’ve seen a botnet that would destroy an IoT device, making it unusable. We’ve had cameras in the lab for our research on the Mirai botnet, so one was volunteered to be the guinea pig. Watching our beloved research lab’s IP-enabled camera turn into a useless paperweight was somewhat bittersweet. We knew BrickerBot v1 aimed to destroy insecure IoT gear, and this was validation. We had to either take it apart and solder a serial connection to it to re-flash it, or just spend the $60 on a new one to continue our IoT botnet research. If you are reading this, you are back on Twitter, listening to your favorite music on Spotify, watching Netflix and you can finally breathe! Yes, the massive DDoS attack targeting Dyn’s DNS service provider almost broke the Internet, and we are still in the aftermath. Although the forensics analysis are still ongoing, we do know that this attack integrated at least one botnet of Internet of Things (IoT) devices. This attack follows two large scale DDoS attacks launched in September that used the same methodology: infecting an ‘army’ of IoT devices to knock down victims’ services. In my last blog, I talked a little about the general principles of the cyberattack marketplace. Today, we will take a closer look at the Darknet. There is so much talk these days about the Darknet. It’s the stuff of crime novels – a hotbed of criminal activity where anything can be bought and sold. While that is true, the Darknet also provides an anonymizing layer to journalists and activists around the world who fight for the freedom of information and privacy. It is often a place where they can securely and anonymously communicate with their contacts. A highlight of the annual Global Network & Application Security Report is always the deep case studies. Each year, we work closely with a customer that has made the difficult, but admirable decision to shine a light on their experiences as a victim of a cyber-security attack. By sharing, these customers can help others prepare for what now is sadly an inevitable experience for many companies. Could Your Network Survive APDoS or Hit-and-Run DDoS? Can you guess where a network breach first occurs?